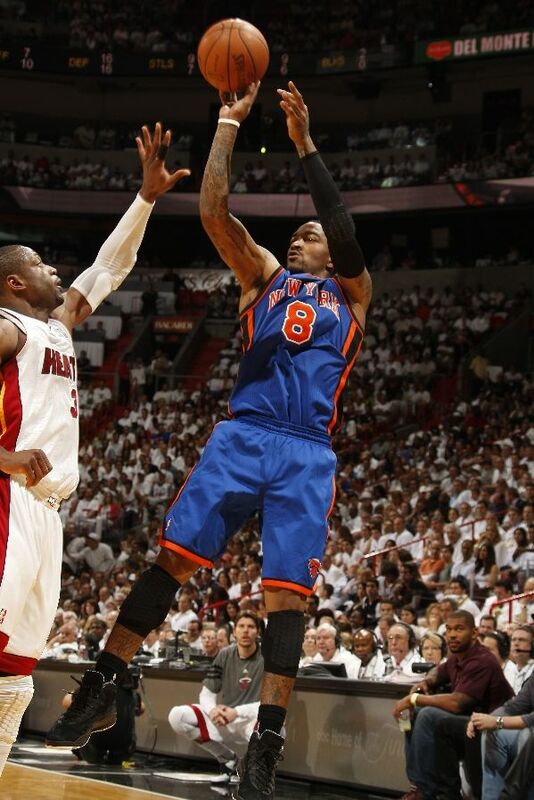 Entering another postseason hoping to hoist up his first Larry O'Brien Trophy, Miami Heat forward LeBron James looked like a man on a mission in Sunday's NBA Playoffs opener against the New York Knicks. Entering another postseason hoping to hoist up his first Larry O'Brien Trophy, Miami Heat forward LeBron James looked like a man on a mission in Sunday's NBA Playoffs opener against the New York Knicks. With his shot falling, LeBron connected on 10 of his 14 shots for 32 points, helping lift the Heat to an easy 100-67 Game 1 victory. James added 4 rebounds, 3 assists and dominated defensively with 4 steals in 31 minutes of action. Dwyane Wade chipped in with 19 points, while Mario Chalmers contributed 11 of his own. Elsewhere, the playoff landscape was changed significantly when Chicago point guard and reigning MVP Derrick Rose went down with a torn left ACL in the Bulls' 103-91 Game 1 win over the Philadelphia 76ers. Rose recorded an impressive 21 points, 9 assists and 9 rebounds before an unfortunate planting of his leg with less than two minutes to play in the game ended his season. 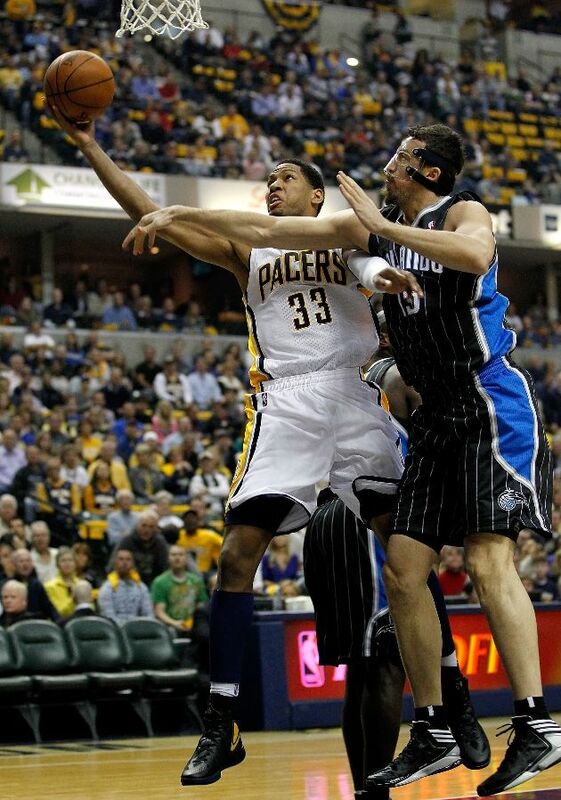 Speaking of superstars with premature ends to the season, the Orlando Magic took the floor in Indiana without Dwight Howard in what many expected to a 4-game sweep for the Pacers. However, the gritty Magic role players had other plans, scoring the final 11 points of the game to pull out an 81-77 win and take a 1-0 series lead. "Big Baby" Glen Davis led the way for Orlando with 16 points and 13 rebounds, while Jason Richardson and Jameer Nelson poured in 17 each. 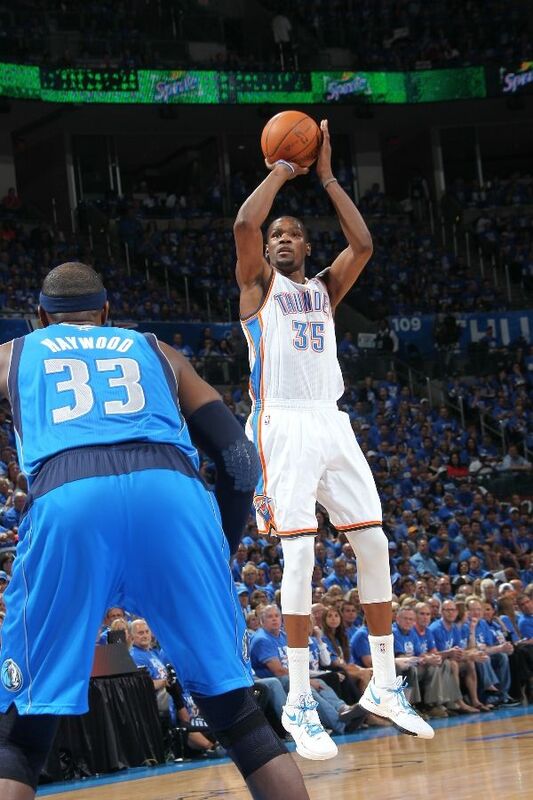 The day's final game featured the upstart Oklahoma City Thunder and defending NBA Champion Dallas Mavericks. As competitive as we all expected, the Thunder and Mavs were neck-and-neck until late in the fourth quarter, when a pair of Dirk Nowitzki free throws gave Dallas a narrow 98-97 lead. However, after catching an inbounds pass, Kevin Durant got the shooters bounce on a free throw line jumper than gave the Thunder a 99-98 win and series lead. Russell Westbrook led the Thunder with 28 points. Of course, we're here for the footwear, and plenty interesting pairs found their way to the court for the first day of the playoffs. LeBron broke out an exclusive colorway of his Elite Post-Season sneakers, while Dwyane Wade and Carmelo Anthony also wore new playoff colorways of their signature shoes. Derrick Rose had his first and only run in the "Playoff" adidas adiZero Rose 2.5 and Hedo Turkoglu debuted a sleek Crazy Light 2 colorway. The OKC trio of Durant, Westbrook and Harden all wore white-based PEs and Delonte West held it down for the Mavs in the Flight One. Look for all of these kicks and much more in this playoff edition of Sneaker Watch. Jeremy Lin trying to work himself back into game shape in the Nike Zoom Hyperdunk 2011 Low. 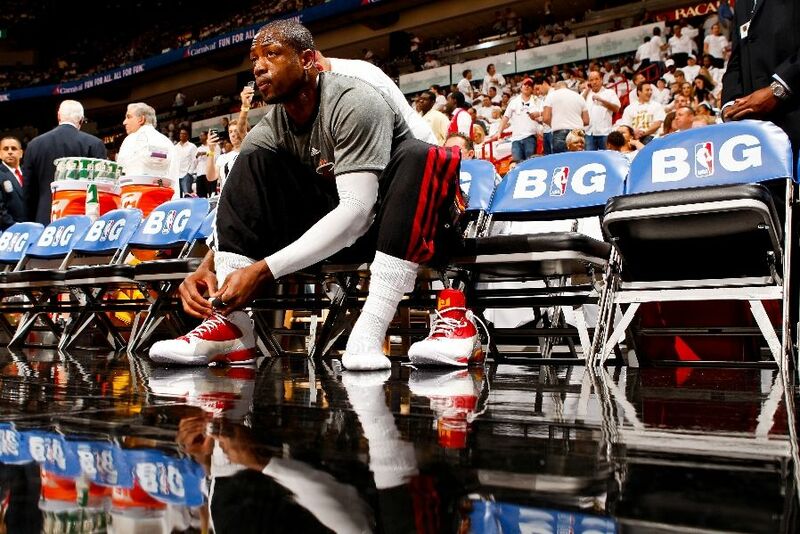 Dwyane Wade laces up a PE colorway of the Jordan Fly Wade 2 EV. 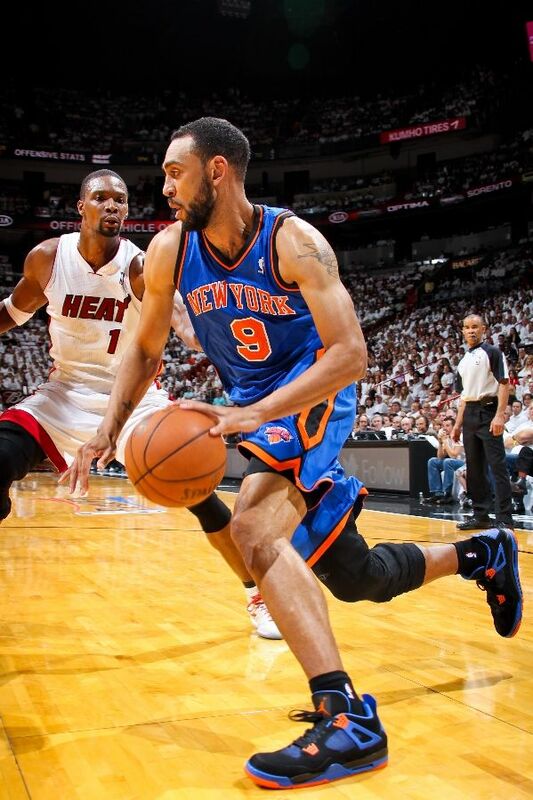 Jared Jeffries drives baseline in the "Cavs" Air Jordan Retro 4. 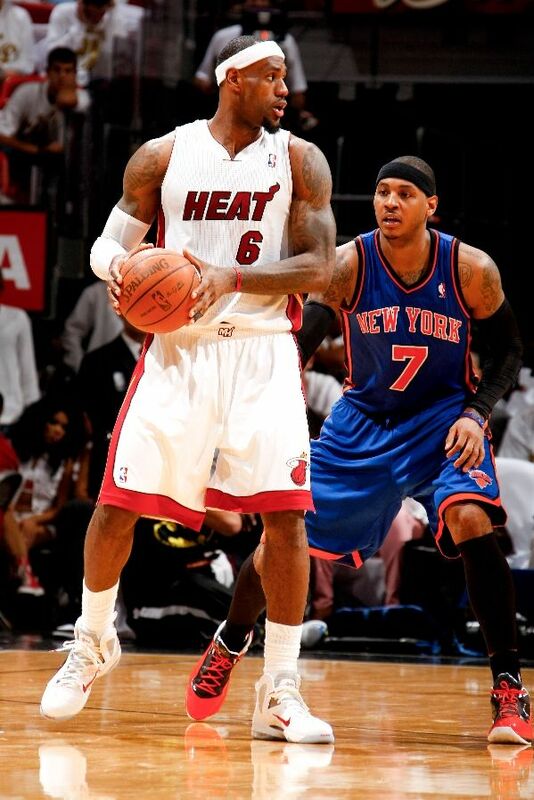 LeBron James posts up on Melo in a PE colorway of the Nike LeBron 9 P.S. Elite. 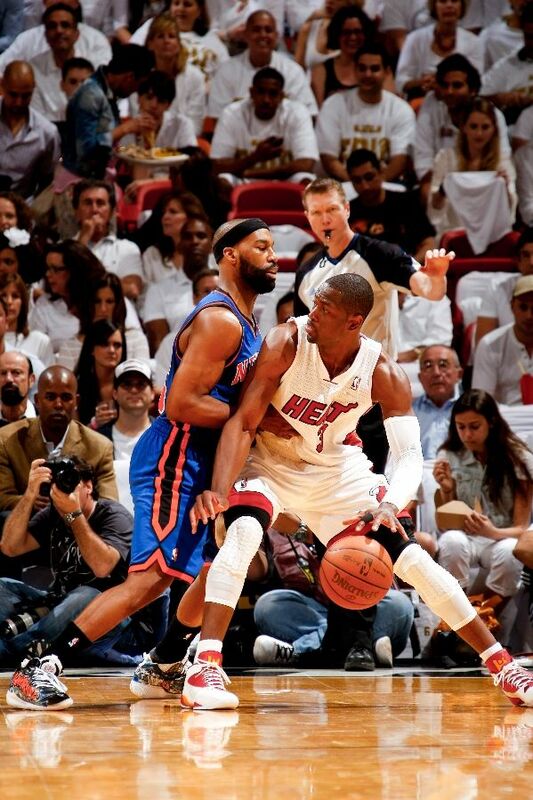 Baron Davis defends Wade in custom Li-Ning BD Dooms. 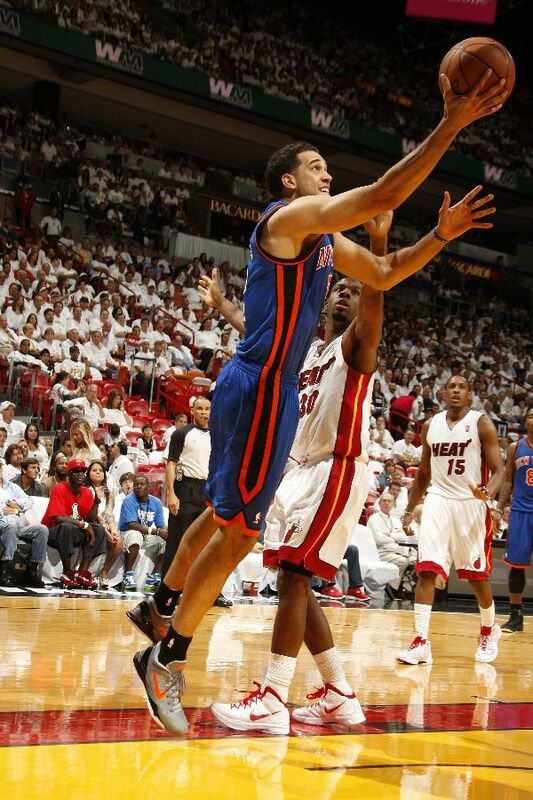 A layup for Landry Fields in the "Wolf" Nike Kobe VII. 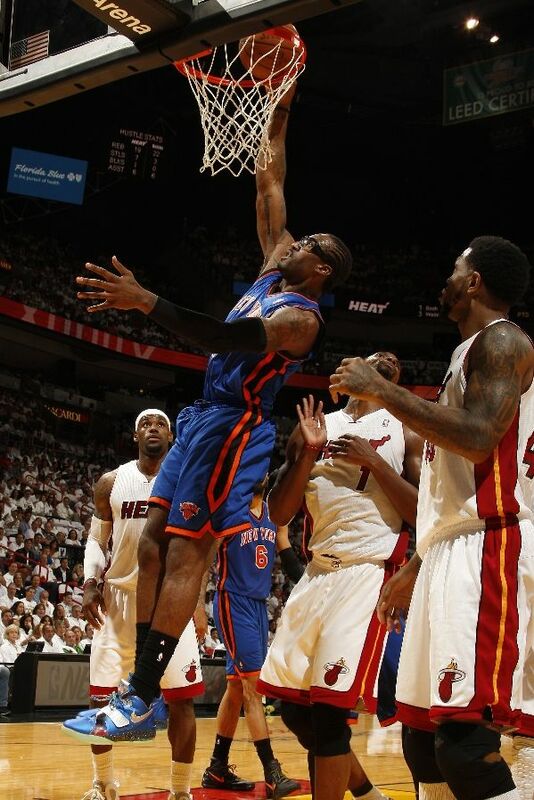 Amar'e Stoudemire dunks in the Nike Air Max Sweep Thru "Galaxy." J.R. Smith shoots in the "Stealth" Air Jordan Retro 10. 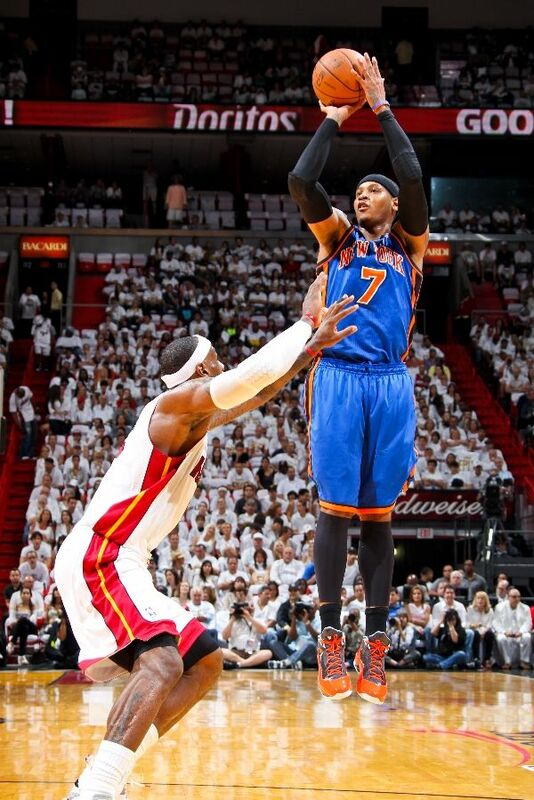 Carmelo Anthony shoots in the Jordan Melo M8 Playoffs in Anthracite/Orange. A closer look at Carmelo's kicks on the court. 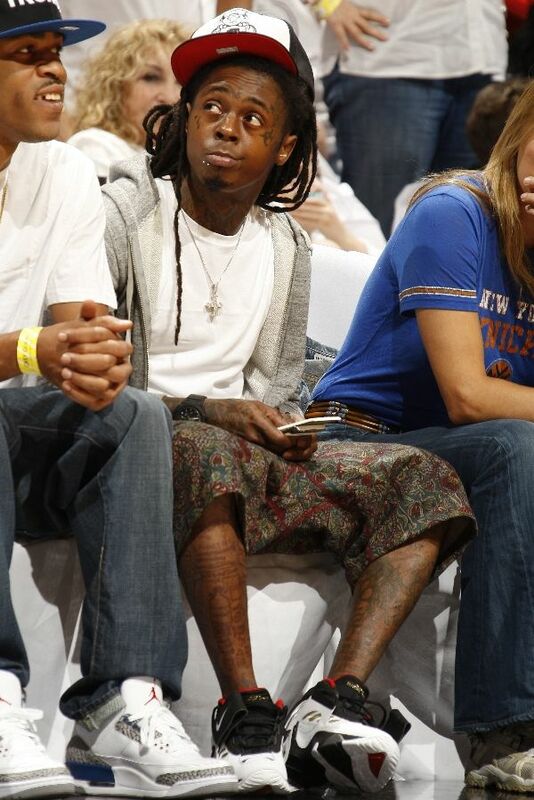 Lil' Wayne takes in some of the action wearing the Nike Air Diamond Turf II. 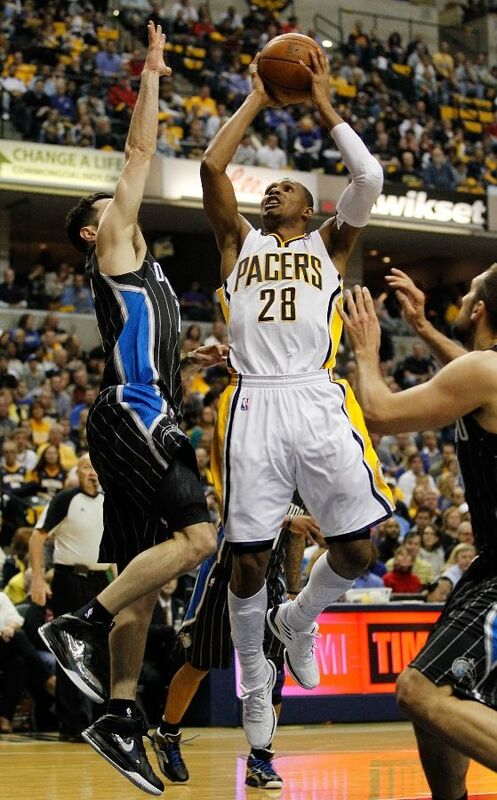 Mike Bibby shoots over Joel Anthony in a PE colorway of the Air Jordan 2012. 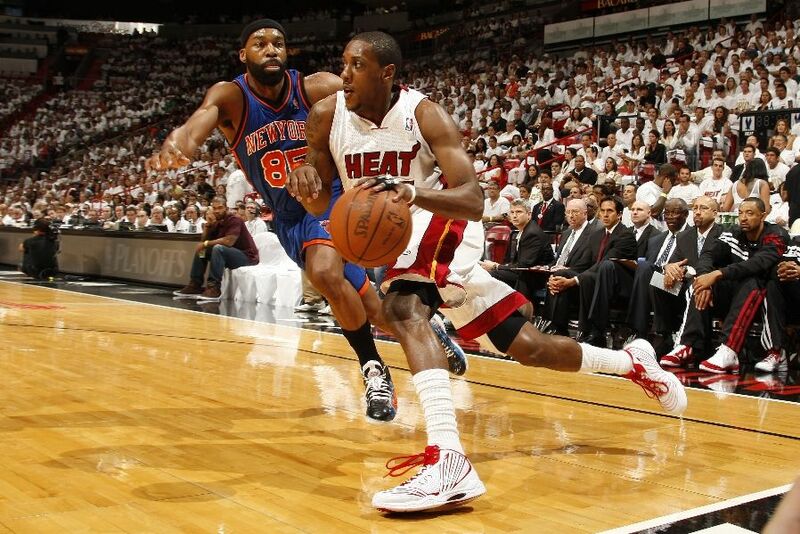 Mario Chalmers drives in shoes by Spalding. 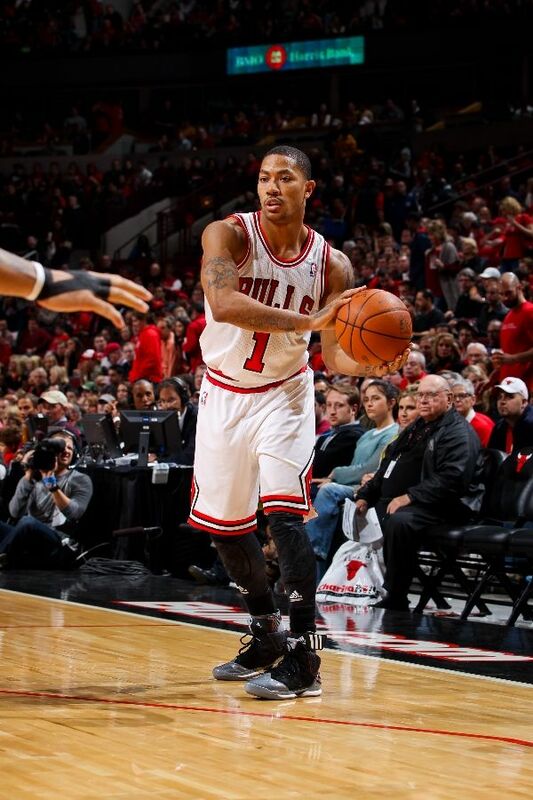 Derrick Rose looks to make a pass in the adidas adiZero Rose 2.5 "Playoffs." 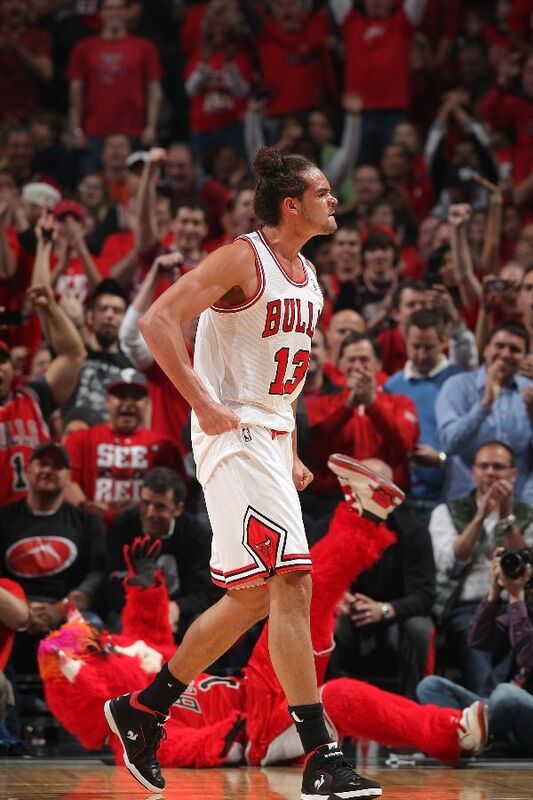 Joakim Noah fired up in the Le Coq Sportif Joakim Pro Model 3.0. 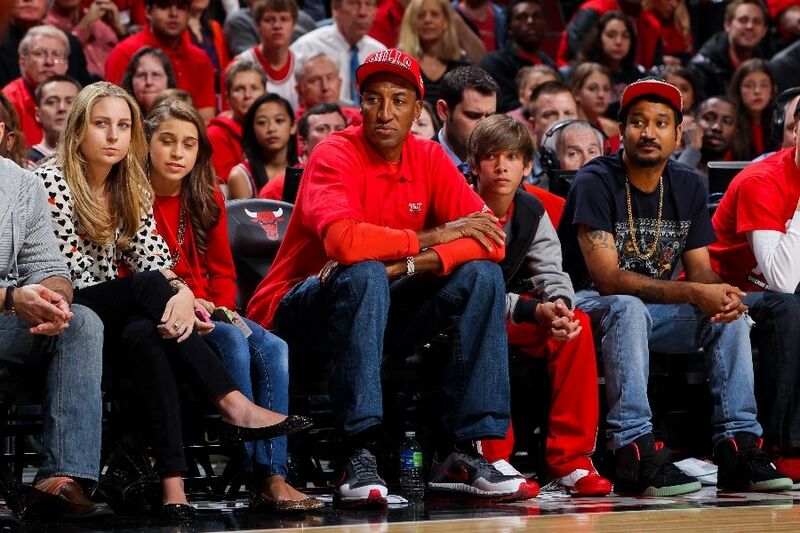 Courtside: Scottie Pippen wearing Nike Air Trainer Max 1.3; Don C wearing Nike Air Yeezy 2 in Black/Solar Red. C.J. 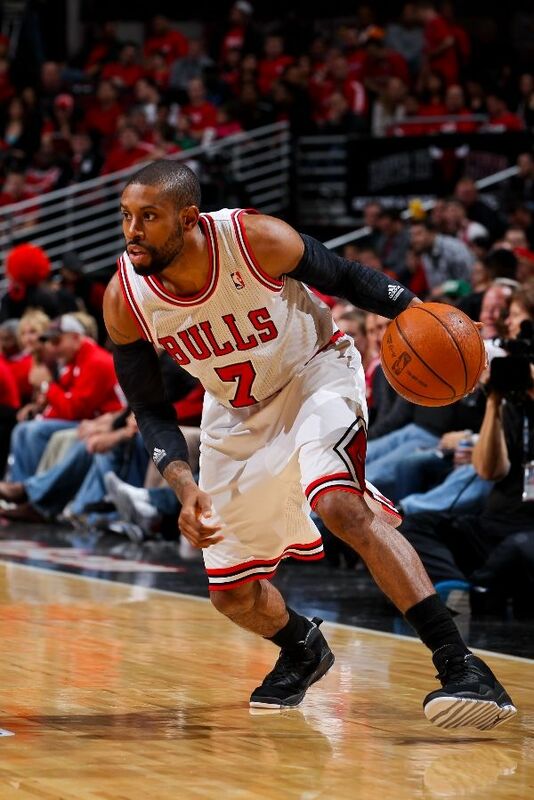 Watson drives in the "Stealth" Air Jordan 10. 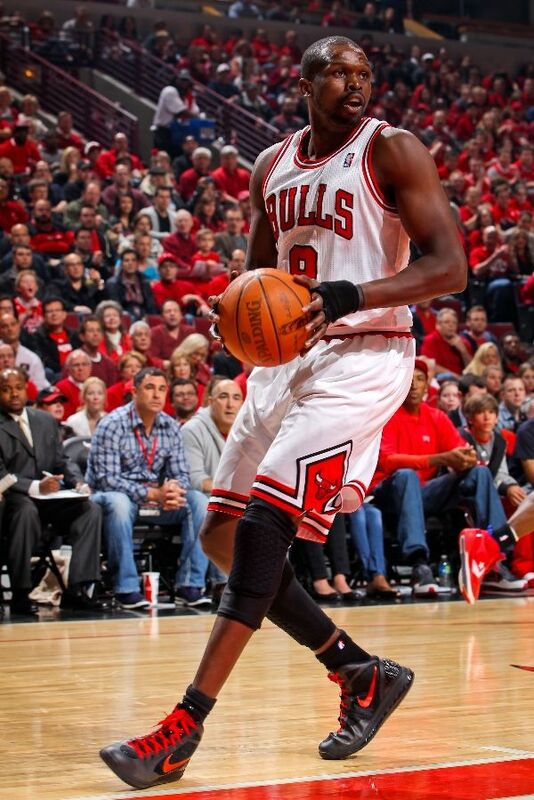 Luol Deng tries to locate an open teammate in his Nike Air Max Hyperdunk 2011 PE. 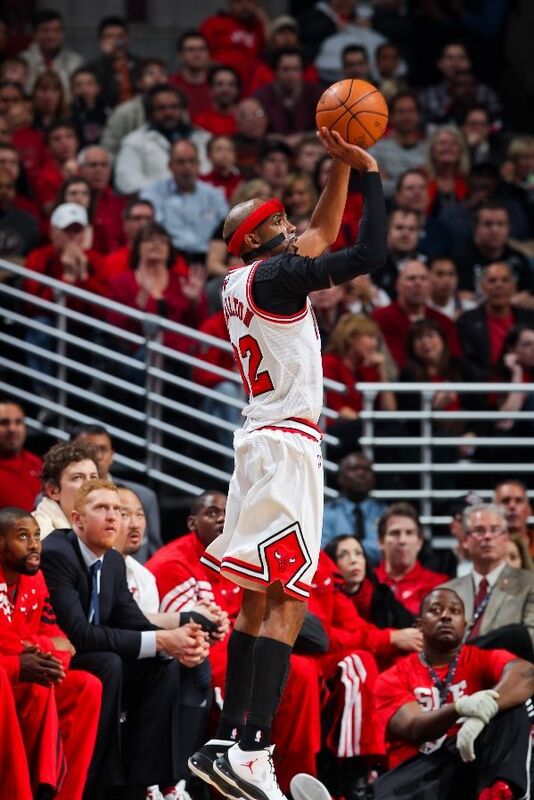 Carlos Boozer goes to work in the Nike Zoom Hyperdunk 2011 Supreme. 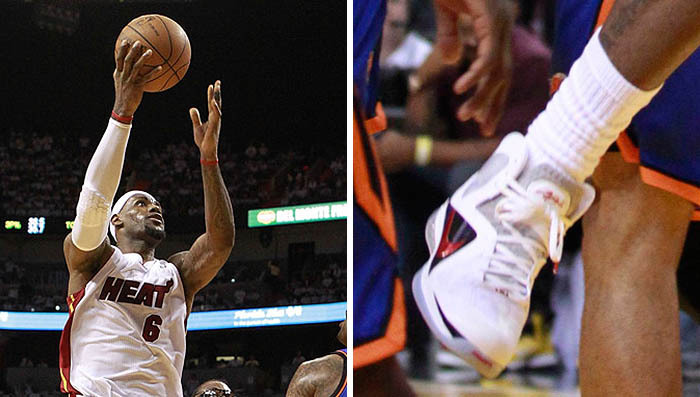 Rip Hamilton shoots in the Jordan Play In These 2. 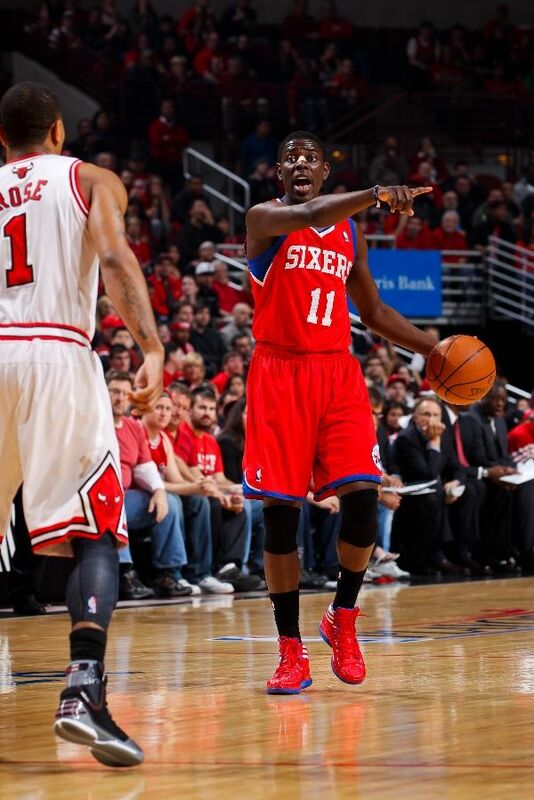 Jrue Holiday directs the offense in his adidas adiZero Crazy Light PE. 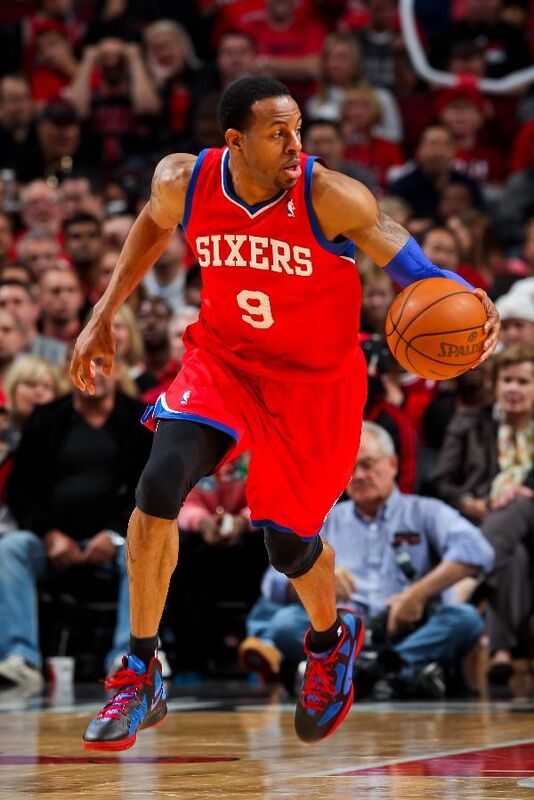 Andre Iguodala runs the floor in his Nike Zoom Hyperfuse 2011 PE. 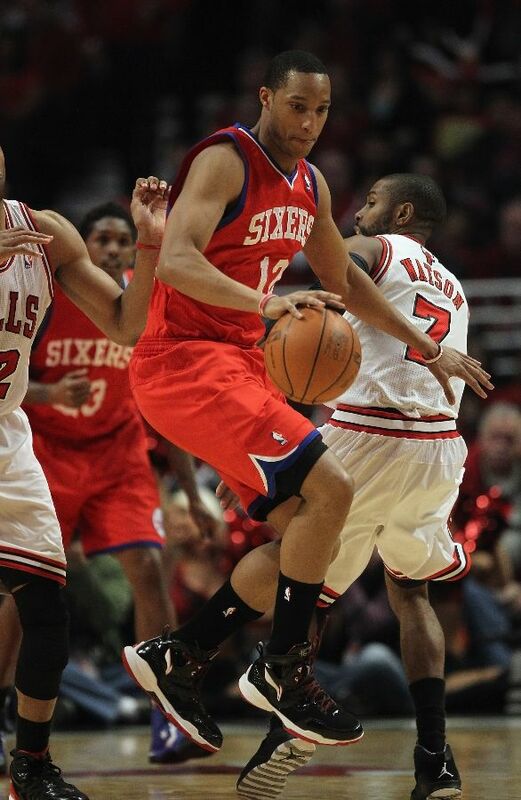 Evan Turner gets a steal in the Li-Ning Turningpoint. 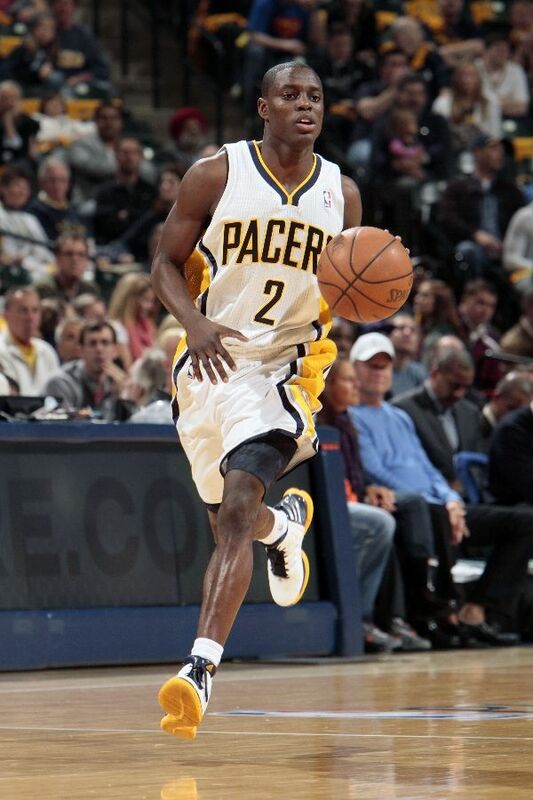 Darren Collison runs the point in the adidas adiZero Shadow. 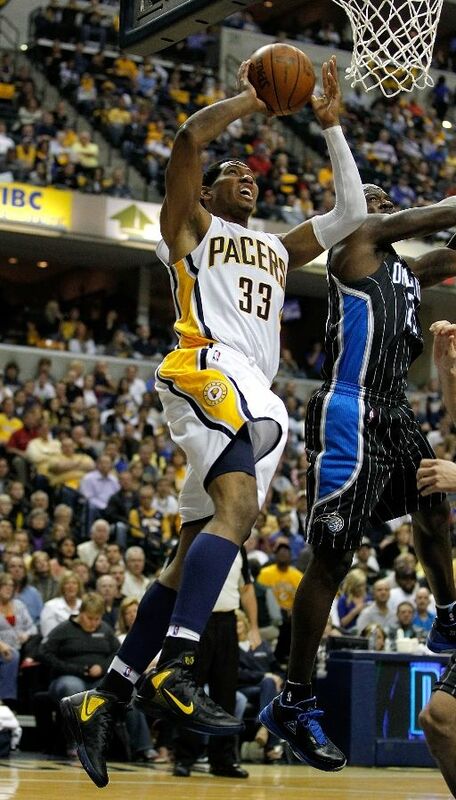 Danny Granger goes up strong in his Nike Zoom Hyperenforcer PE. 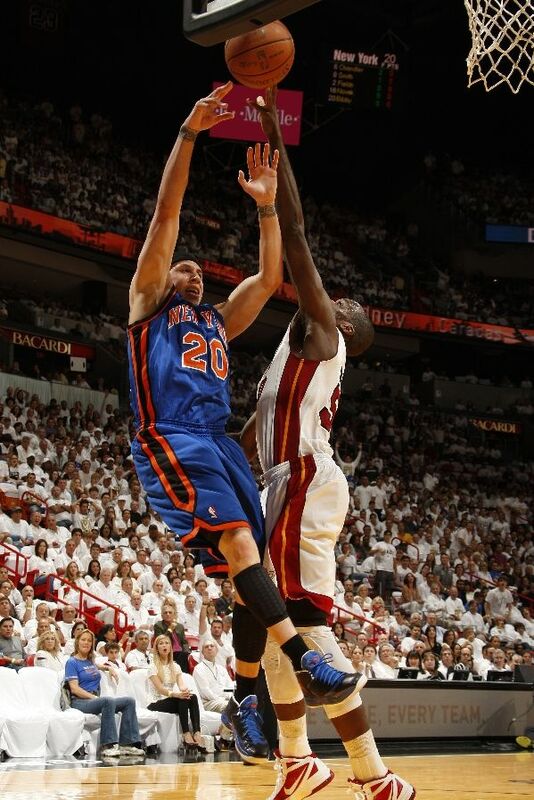 Hedo Turkoglu plays a little defense in the adidas adiZero Crazy Light 2. 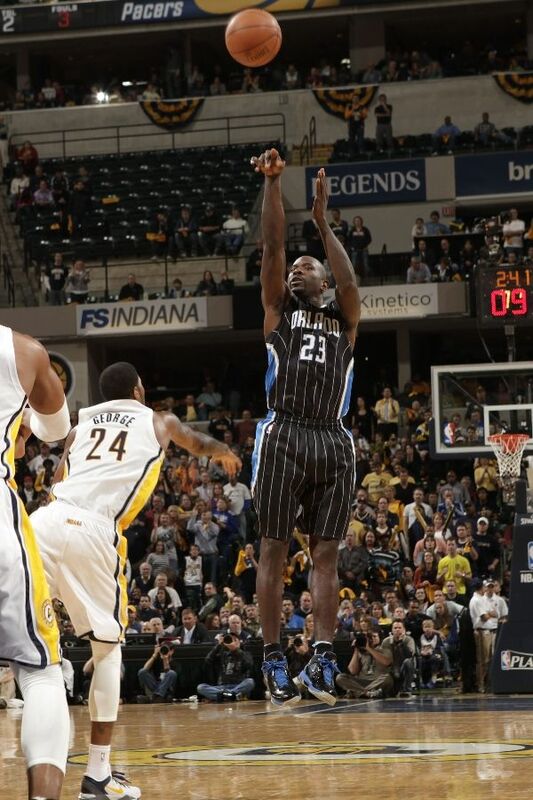 Jason Richardson dials up from long distance in PEAK shoes. 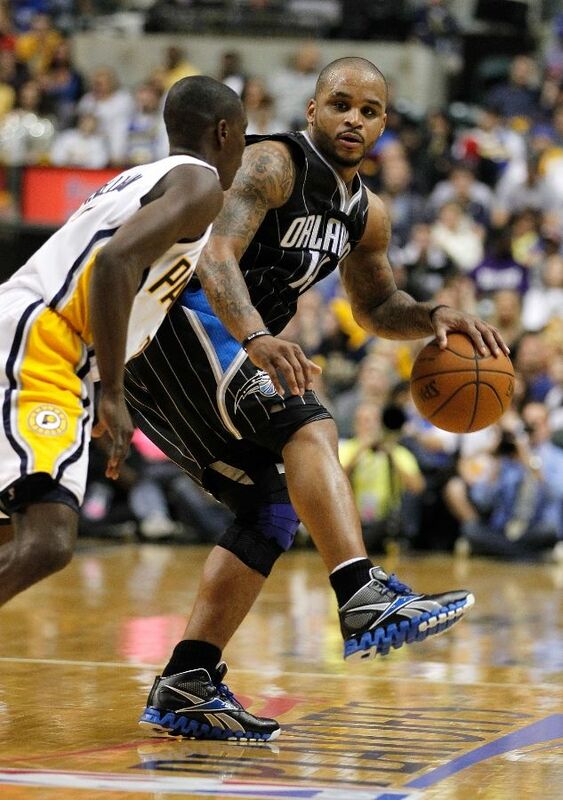 Jameer Nelson puts his back into it wearing the Reebok Zig Pro Future. Leandro Barbosa goes up for a layup in the adidas adiZero Crazy Light Low; J.J. Redick defends in the Nike Air Max Soldier V.
Paul George stands in disbelief wearing the Nike Kobe VII. 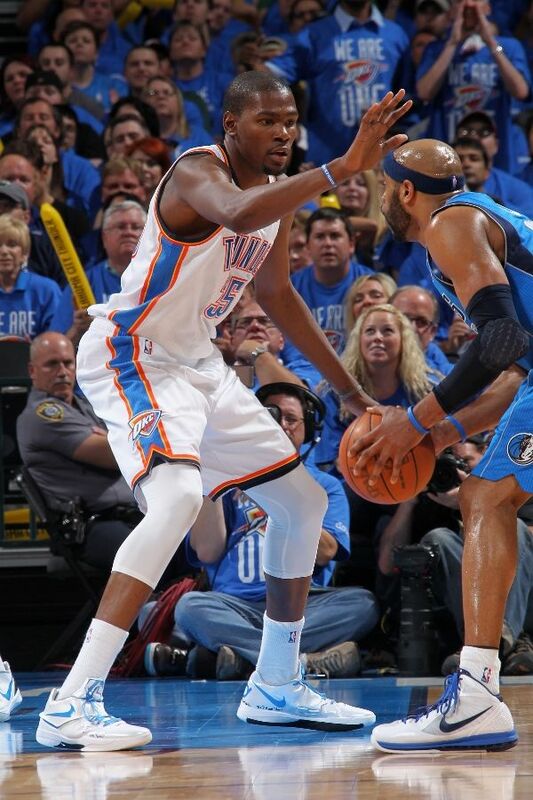 Kevin Durant shoots in a new PE colorway of the Nike Zoom KD IV. 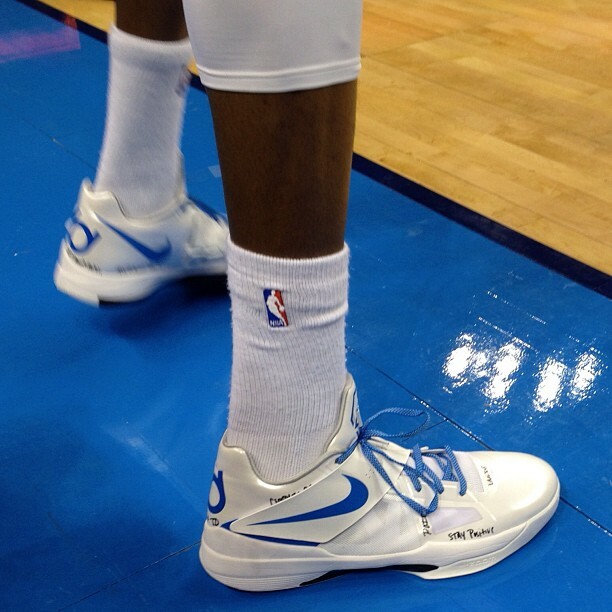 A closer look at KD's PEs, courtesy of Randy Williams. 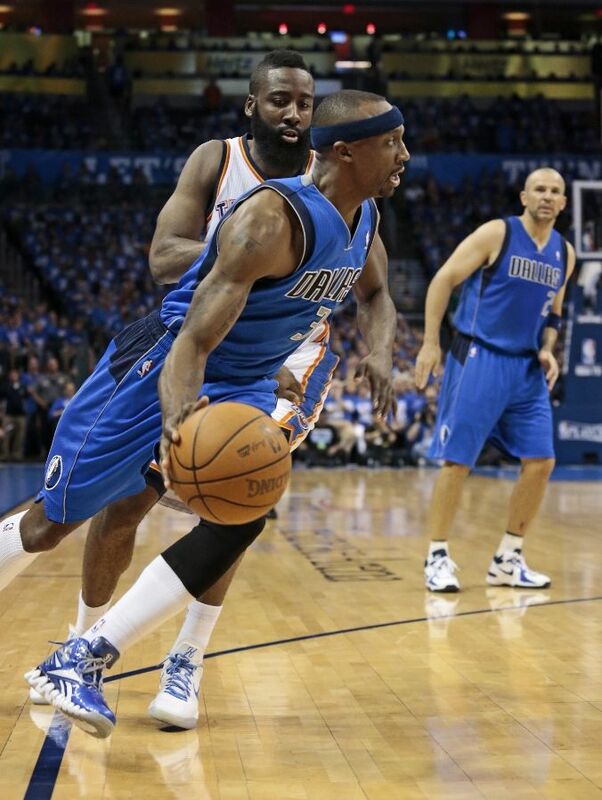 Jason Terry drives in his Reebok Zig Pro Future PE. 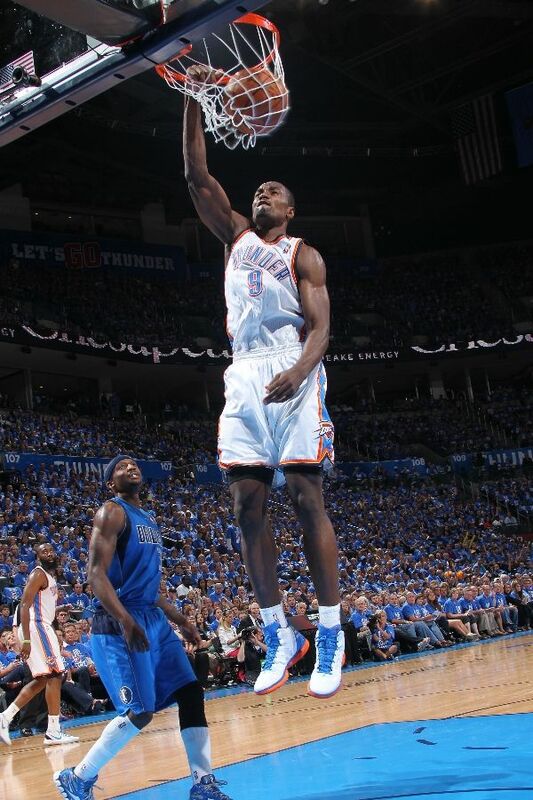 Serge Ibaka dunks in a PE colorway of the adidas adiZero Shadow. 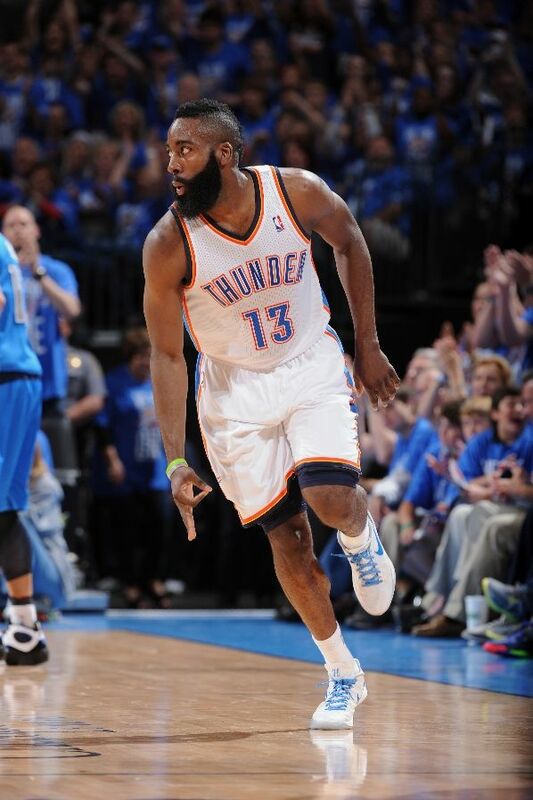 James Harden runs back on defense wearing a Nike Hyperdunk Low Elite PE. 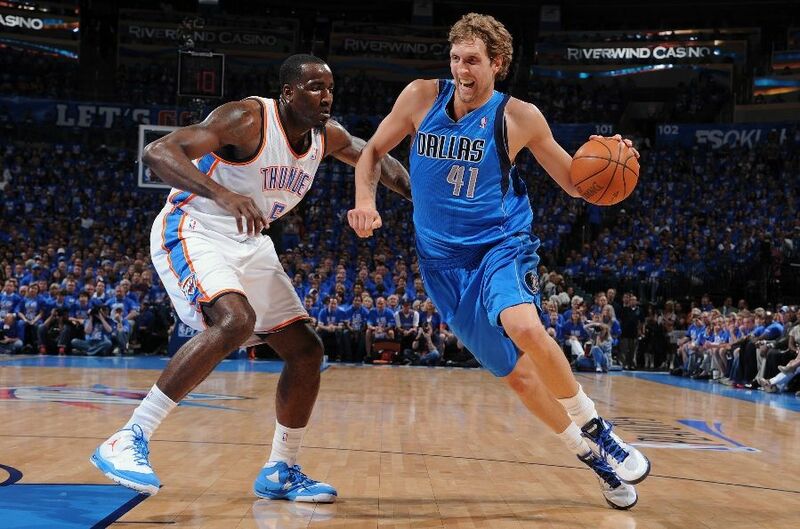 Kendrick Perkins defends Dirk in a PE colorway of the Jordan Play In These II. 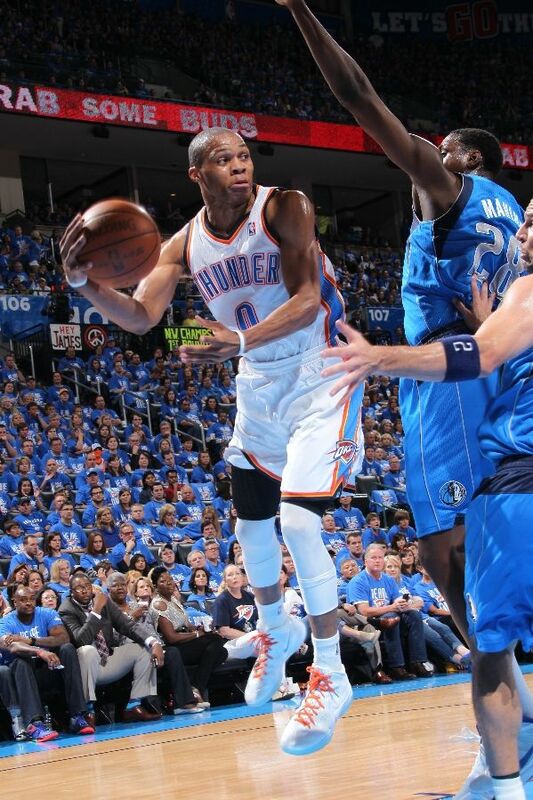 Russell Westbrook catches air wearing a PE colorway of the Nike Zoom Hyperfuse 2011. 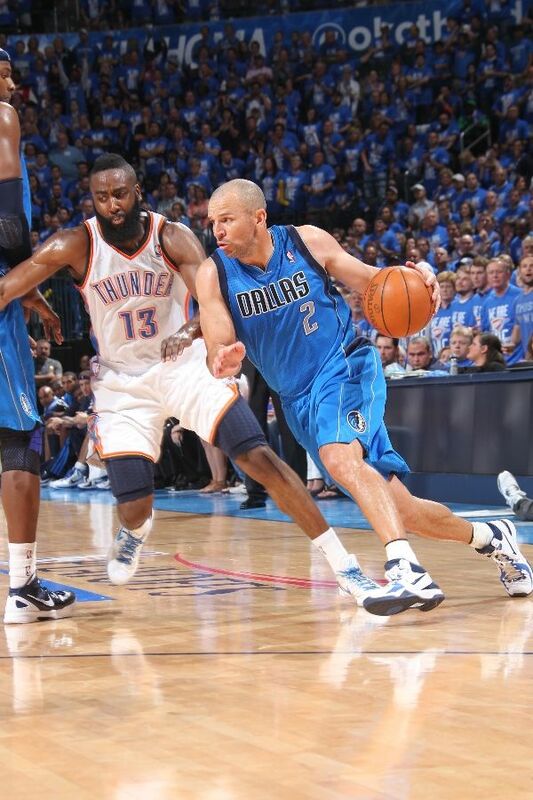 Jason Kidd drives in the Nike Zoom Brave V.
Delonte West tries to seal off Harden in the Nike Flight One. 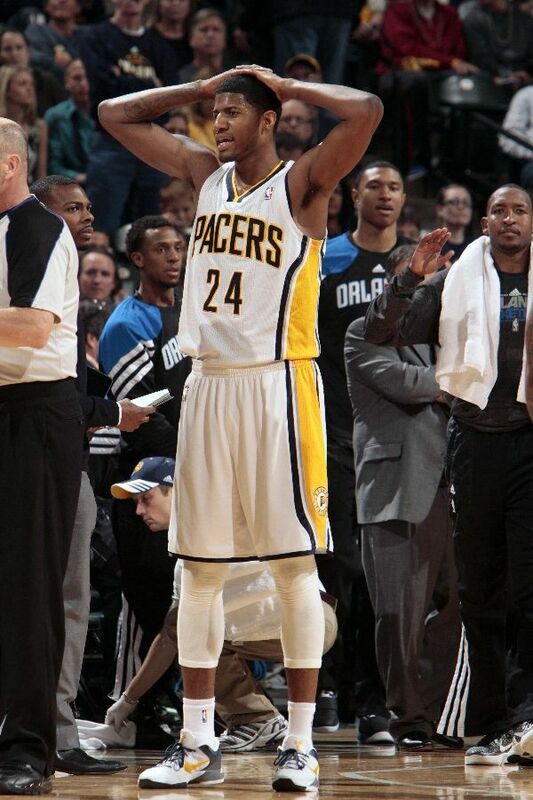 Vince Carter faces up with KD in his Nike Air Max Hyperdunk 2011 PE. 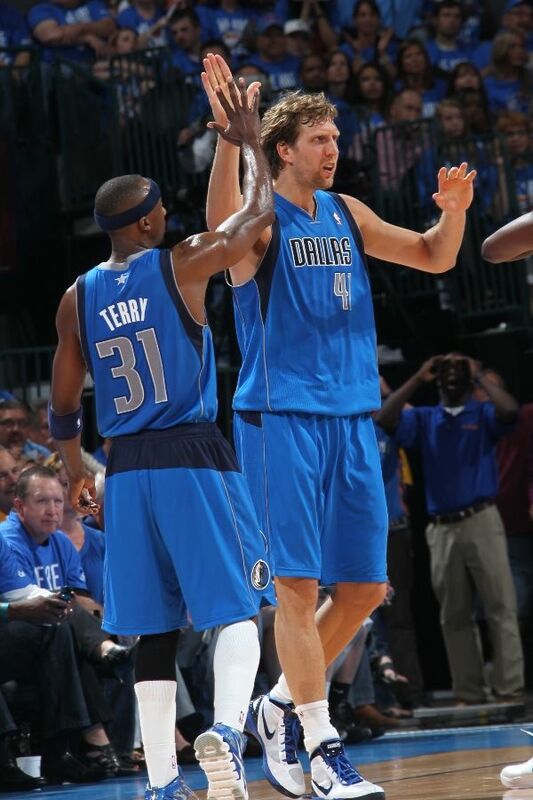 High-fives from Dirk Nowitzki in his Nike Zoom Hyperdunk 2011 PE. 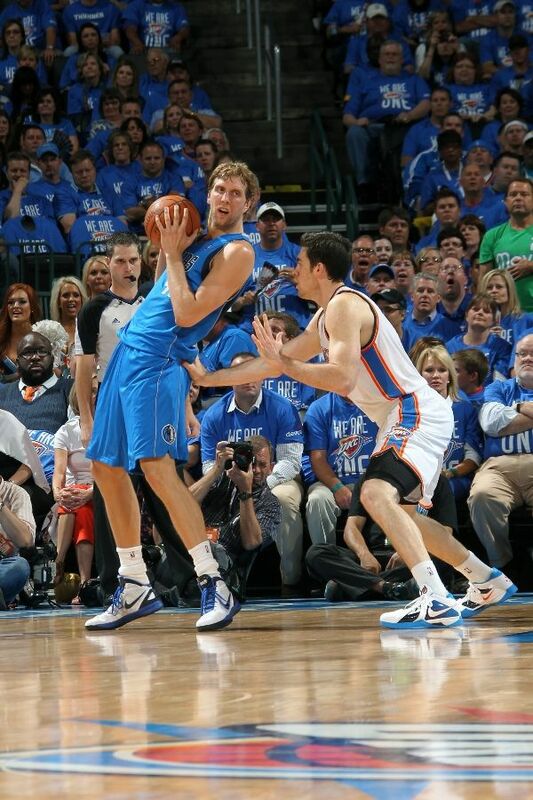 Nick Collison defends Dirk in the Nike Zoom KD III POP.